I am sitting in the Admirals Club at DFW waiting to go to gate A22 to board flight 1172 for Omaha, NE. 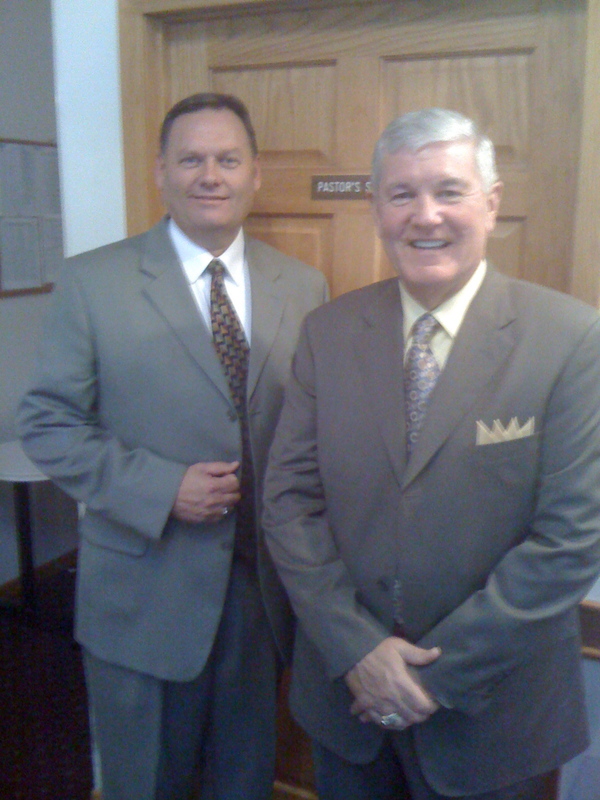 I will be teaching and preaching for my good friend Pastor Raymond Wicks. He pastors the FIRST BAPTIST CHURCH of Plattsmouth, NE. He is a personal soul winner and has led this church to become a strong fundamental independent Baptist church with soul winning their number one cause. You will find this Scripture in Psalm 147:2. This gives us an insight into whom God chooses to use. It’s Sunday morning in the late 1960’s and the world’s largest church is gathered for it’s morning service. The pastor begins to speak. Look at his stature, listen to his eloquence, and look at the converts flooding down the aisles. Who is this great man? He is an outcast! He was cast out of the Hamilton County Baptist Association of Chattanooga, TN. A city auditorium is filled, the choir is in their place, the ushers are at their post, and hundreds of churches are cooperating in this meeting. The Evangelist stands to speak, listen to his preaching, notice the Holy Spirit power, and watch closely as the converts stream down the aisles. Who is this great man? An outcast! The Tarrant County Baptist Association kicked him out. His name is John R. Rice! I see a church auditorium jammed and packed with people. I see 800 Sunday school classes totaling 20,000 on an average Sunday morning. WOW! 30,000 converts walking the aisles in one year in this one local church. I see 15,000 following the LORD in water baptism in one year. Who is this man that pastors this church and fills their pulpit. He is an outcast! He was kicked out of his own denomination the Dallas County Baptist Association. His name is Jack Frasure Hyles. I see a set of books. I read them and there are dozens and dozens of powerful sermons. What a preacher, what a man, and what brilliance. Who is this great author? Who is this prince of preachers? He is an outcast! He was voted out of his London Baptist Association with only 7 votes for him. His name is Charles Hadden Spurgeon. I see a million souls in Heaven, singing, and praising God around the throne. I see them gathered around Jesus and close by is a man who was used of God to reach them with the Gospel. Who is this man? He is an outcast! His denomination refused to ordain him. His name is Dwight L. Moody. Dose anyone reading this BLOG know the name of one member of that Presbytery that voted down D. L. Moody’s ordination? No, but history shouts out D. L. Moody’s name. Can any reader tell me one name from the Hamilton County Baptist Association who voted out Lee Roberson? No, but everyone knows Lee Roberson’s name in Baptist circles. Can anyone tell me the name of anyone who was a part of the London Baptist Association that voted out Charles Hadden Spurgeon? No, but everyone knows the name Charles Hadden Spurgeon. Is there any history buff reading this article who can tell me the name of the one who made the motion to kick out Jack Hyles and Joe Boyd out of the Dallas County Baptist Association? No, but history exalts the names Jack Hyles and Joe Boyd. God has always chosen the foolish things to confound the wise. The 700 mighty soldiers, who were outcasts, were wounded in battle and could no longer use their right hands, but they refused to go home to accolades, and garlands placed around their necks. They learned how to throw spears with their left hands. They were so accurate the Scriptures say they could hit a hair’s breath. Who are these men? They were outcasts. I think of the 600 men who were David’s bodyguards. General Ittai was over them. They are the ones who stayed with David when he left the throne refusing to fight with his son Absalom in war fare. These men were not even Jews for they were Philistines. I see a mighty warrior who with 300 men defeat a mighty army. Who is this warrior? He is an outcast. Gideon, the runt boy of the runt tribe of the runt nation of the world. I see an army of 400 under David’s leadership and the Bible says they were in distress, in debt, and discontented. In other words they were Baptists. Ha! Who are these men? They are outcasts. Every one who is reading this can be used of God. How can this be? Simple, because God gathers the outcasts. Here is the amazing thing it is not the outcasts of the world, but of His own! Look to whom God chooses to use…the outcasts of Israel. WOW! GOTTA LOVE THE OLD TIME RELIGION!